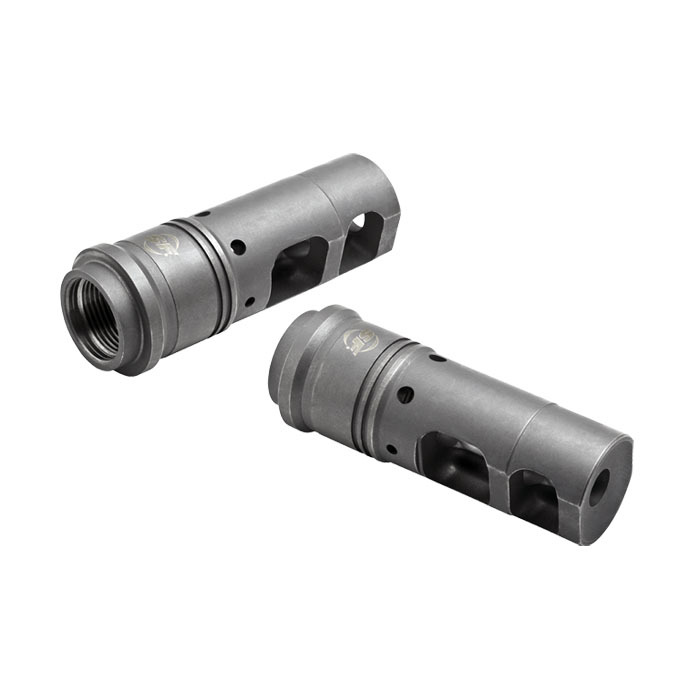 Precision machined from US mill-certified heat-treated stainless steel bar stock, the Surefire SFMB-556-1/2-28 muzzle brake was designed to fit the M4/M16/AR15 rifles and variants. The SFMB-556 greatly reduces both recoil impulse and muzzle rise so that the weapon tracks straight back allowing for faster shot-to-shot recovery. Its patented Impulse Diffusion design minimizes side blast and rear-directed concussion effects. The SFMB-556 also serves as a rock-solid mounting adapter for SureFire SOCOM Series 5.56 mm Fast-Attach suppressors.